WASHINGTON (Reuters) – President Donald Trump on Monday defended his decision to revisit penalties for Chinese company ZTE Corp for flouting U.S. sanctions on trade with Iran, saying the telecom maker is a big buyer for U.S. suppliers. (Reuters) – U.S. Environmental Protection Agency head Scott Pruitt requested and received around-the-clock security since his first day in office in 2017, the agency’s watchdog on Monday told a lawmaker questioning Pruitt’s expensive security detail. WASHINGTON (Reuters) – U.S. Commerce Secretary Wilbur Ross said on Monday that none of the contentious issues in a new NAFTA trade deal appear to have been resolved, diminishing chances of meeting a Thursday deadline to notify U.S. lawmakers of an agreement. Lego The Incredibles offers a large hub world and covers the plot of both The Incredibles films. In case you had any doubts that original content is a big priority at Netflix, Chief Content Officer Ted Sarandos estimated that 85 percent of the company’s total spending is going to new shows and and movies. It’s probably not surprising that the service is prioritizing originals. After all, Netflix seems to be highlighting a new original every time I open it up, and competitors like Apple, Amazon and Hulu are ramping up their own spending. And while movies account for one-third of viewing on Netflix, Sarandos pointed to new, big budget titles as one area where it no longer makes sense for the streaming service to spend a ton of money — because if you really want to catch the latest blockbuster, you probably already saw in theaters. In our latest YouTube video, we pitted the G7’s camera against the camera of the iPhone X to compare and contrast the feature set and image quality of the two devices. Apple’s iPhone X has a standard 12-megapixel f/1.8 wide-angle lens paired with a 12-megapixel f/2.4 telephoto lens, which is what Apple uses for its Portrait Mode depth effects. Both wide-angle and telephoto lenses have their purposes, and with LG’s setup, you can take wider landscape shots that fit more of the background in rather than closer portrait images designed to focus on a single subject. LG’s device also includes a portrait mode-style effect, but the background blurring is done entirely via software rather than through lens technology. LG has included a unique “AI Cam” feature that’s designed to analyze the subjects in the photo and offer up recommendations on how to make adjustments for the best possible photo. The LG G7 and the iPhone X are both capable devices that take high-quality photos, so you won’t go wrong with either one of these smartphones. What do you think of the LG G7’s camera? Let us know in the comments. WASHINGTON (Reuters) – A Russian company accused by Special Counsel Robert Mueller of funding a propaganda operation to interfere in the 2016 U.S. presidential election is asking a federal judge for access to secret information reviewed by a grand jury before it indicted the firm. 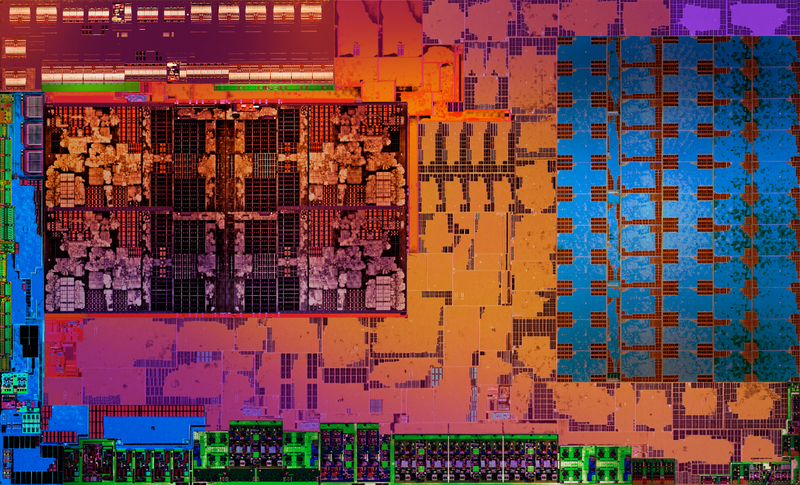 AMD has launched a new range of Ryzen Pro processors that gives the company an important new weapon in its competition with Intel. Last year, AMD introduced Ryzen Pro, a range of processors aimed at corporate desktops rather than consumer systems. Though broadly identical to their consumer counterparts, the Pro chips offer additional guarantees around supply and availability so that corporate fleets can standardize on particular chips without risking a part being discontinued mid-way through their replacement cycle. The Pro chips also carry longer warranties and emphasize certain security and management features that may not be present or enabled in consumer systems. The first Ryzen Pros had a major omission, however: they didn’t include integrated GPUs. Corporate desktops and laptops, typically used for Office, Web browsing, and other low-intensity tasks, overwhelmingly use integrated GPUs rather than discrete ones; they simply don’t need anything more powerful. The need for separate GPUs meant that the first-generation Ryzen Pros had only very limited appeal in their target corporate market.